Each year, thousands of activists, music fans and Global Citizens gather in Central Park to enjoy performances from the world’s top artists and call on world leaders to achieve the Sustainable Development Goals. To walk the talk, this year’s festival aims to be the most sustainable one yet, partnering with the Chefs’ Manifesto and Fishcoin to curate a menu in line with the Global Goals. As a platform for action, this year’s festival will call for action on a range of global issues: ensuring people don’t suffer needlessly from preventable diseases; making sure all people have access to enough nutritious food and clean drinking water; and more. Sustainability is another key challenge on the festival’s agenda and so Global Citizen is doing its part to reduce the festival’s environmental footprint. Offsetting carbon emissions, on-site recycling and reusable water bottles/locally sourced foodsare some of the actions taken to put sustainability on the menu. Fishcoin and the Chefs’ Manifesto team is helping to improve the festival’s food sustainability. 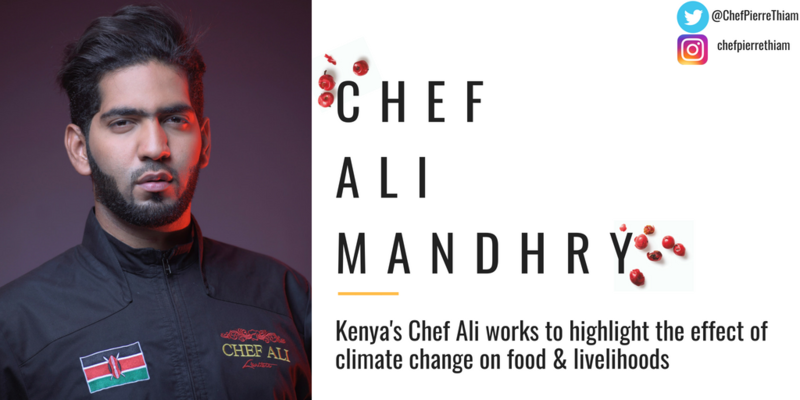 With insight from Kenya’s Chef Ali Mandhry, India’s Chef Anahita Dhondy and Senegal’s Chef Pierre Thiam, the festival will serve three dishes that each highlight an ingredient that is both good for people and the planet. 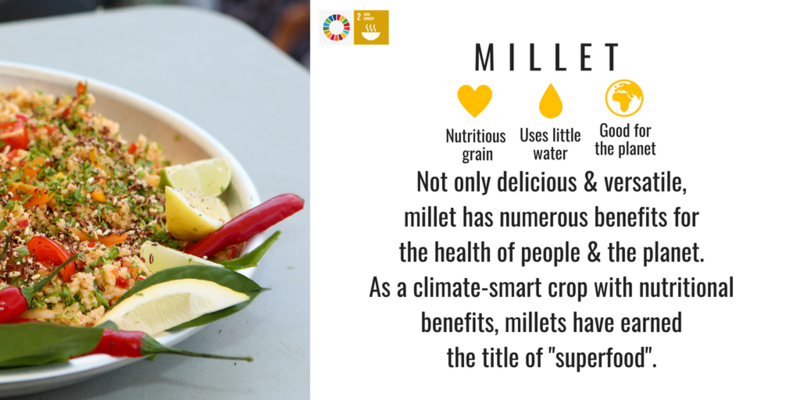 Millet is a climate-smart grain that requires the least amount of water of all the cereal crops. Although a small grain, millet is packed with nutrients such as calcium. Millet has grown in India for centuries but has since been forgotten and replaced with imported grains. 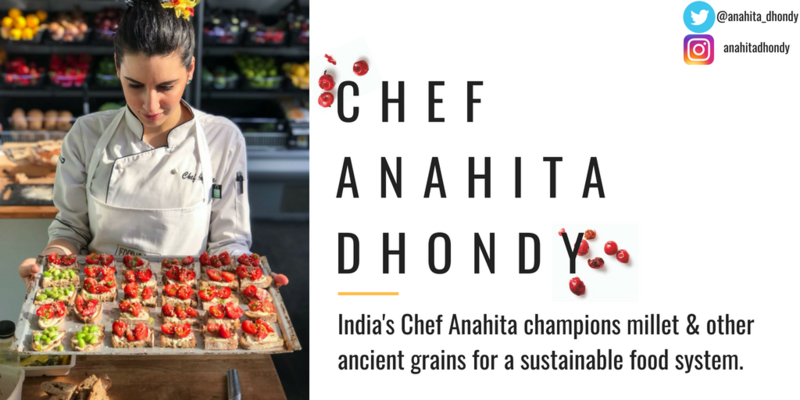 As such, Chef Anahita champions the use of millet in her cooking and in Tasting India’s Eat Like Your Grandma campaign- a chef-led campaign to popularize and reintroduce “forgotten foods” into India’s diet. 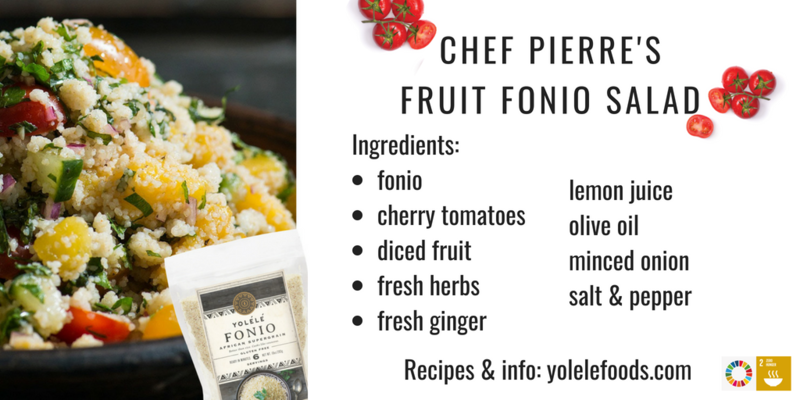 Chef Pierre's fonio fruit salad showcases fonio, an ancient grain with deliciously mild, nutty flavour that has grown in West Africa for 5,000 years and is a key ingredient of West African cuisine. 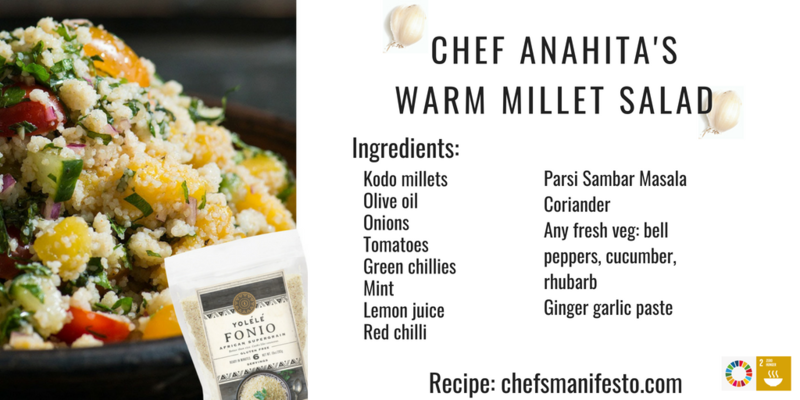 Similar to millet, fonio too was replaced by imported grains and became scarce in food markets around the region. 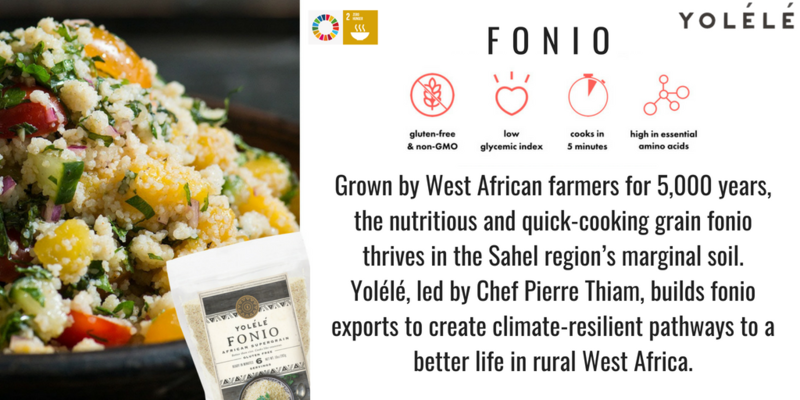 Fonio has been nicknamed the 'miracle grain', as it is high in micronutrients and can be grown in areas of poor quality soil with little water. 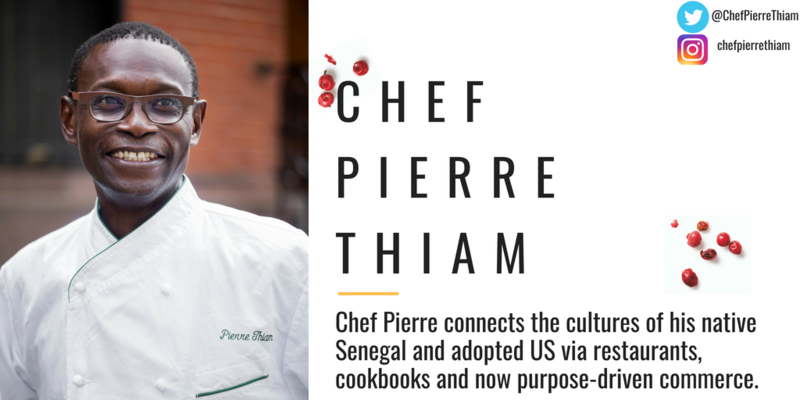 Through Yolélé, Chef Pierre is connecting West Africa's fonio farmers with Western markets by championing the sustainable production of this grain in West Africa. This will help not only to promote healthy eating but also protect the region's biodiversity and support the livelihoods of fonio farmers. In collaboration with the Fishcoin team, Chef Ali's dish highlights the importance of sustainably sourcing of seafood. With 90% of fish species on the verge of collapse, sourcing seafood sustainably is vital to protecting the biodiversity of our oceans as well as the livelihood's of fishers around the world. Partners Fishcoin have established a data platform that is helping to tell the stories behind the seafood on our plates. 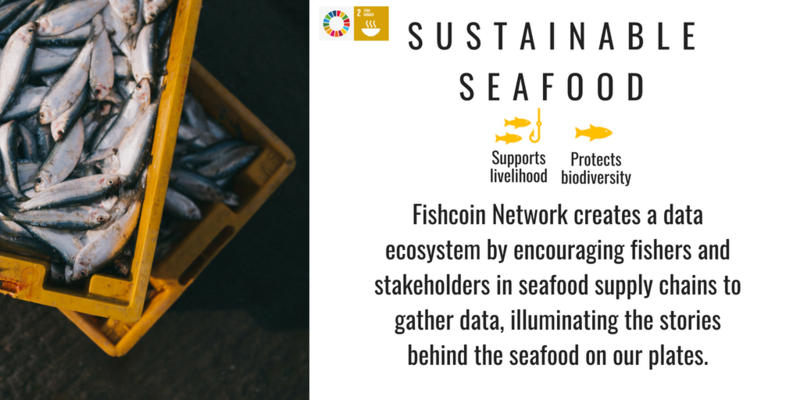 Fishcoin is improving the sustainability of our food supply chains by making seafood traceable.